Pru has found a new source of income and is now training a service dog for someone who will be losing his sight totally over the next few weeks. While out on a training session in a nearby wooded area Spot finds the body of a young woman who appears to have been attacked by a wild animal. This time out Pru is dealing not only with a dog who is being trained, but the foster home that Spot is living in while training and the family that he will eventually be caring for. The cast of characters here are as varied as much as their hidden secrets. Not only do they have secrets that they share but also secrets from each other. Pru has to work her way through a jungle of problems as the bodies begin to pile up and also deal with her personal life and her connection to the Detective in charge. She must learn to listen to Wallace, Spot and a host of other pets. I’ll say it again, each new adventure in this series gets deeper and more intense as the author carries her creations to new heights of angst and anxiety. 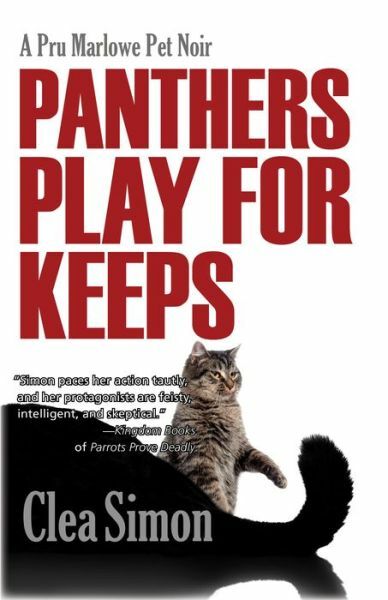 I highly recommend that you read this book. Beg, borrow or steal a copy, just read it and enjoy. FTC Full Disclosure: I received my copy of this book from the publisher who only requested a fair and impartial review. What do you think happens when you take one foul mouthed parrot, a service dog with issues, a neighbor who is a major yenta, and a dead woman’s daughter who appears to be slightly OCD? You get Pru’s latest adventure in murder. It all began with an early morning of Sept. 3rd. when Polly Larkin AKA “room 203” was found dead on the floor of her room. Pru checked her messages and found a mail from a woman “I need your help, it’s or death”. Pru was being asked to retrain a foul mouth parrot into one more kid friendly so that Mrs. Larking’s son could bring him home to his house. I could write a page or so of my thoughts of each chapter, but I won’t! I’m not that talented or I’d have my own books on the market. (insert laugh) As the story progresses, Pru meets the aid, the neighbor and her support dog. She also gets to find out how creepy the director of the Nursing home is. As her questions pile up along with the body count… It’s a race to find out how Polly died, who done it, and why so many people not involved with the home are interested. 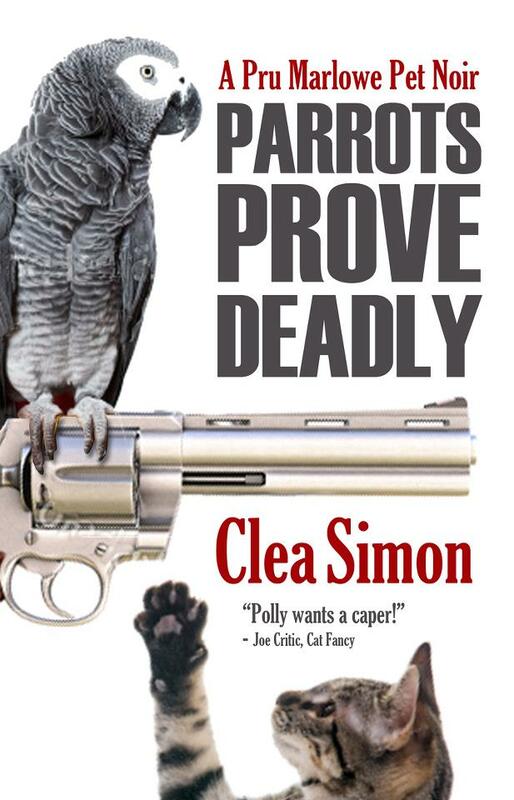 Clea Simon is one hell of a talented writer and never fails to keep my interested in her books. She is the author of three mystery series. The Theda Krakow Mysteries, The Pru Marlowe Pet Noir, and the Dulcie Schwartz Mysteries. Each one a mystery which will entertain you and keep you involved till the last page. FTC Full Disclosure: I received a copy of this book from the publisher who only requested a fair and impartial review.